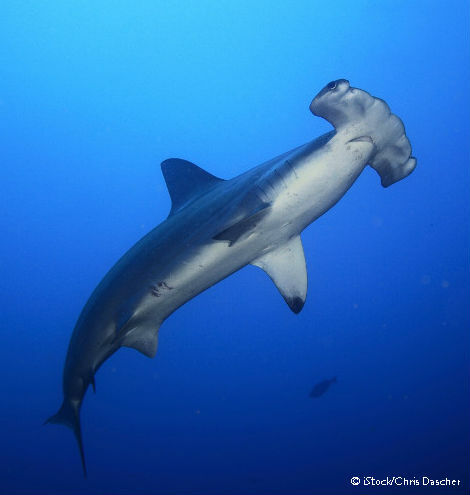 Tell Congress to Ban the Trade of Shark Fins in the U.S. I am writing to urge you to support the Shark Fin Trade Elimination Act of 2016, which would prohibit the sale and trade of shark fins in the United States. Sharks have been on our planet for over 420 million years – 200 million years before dinosaurs walked the Earth. Although sharks have survived major mass extinction events, human activities including overfishing, bycatch and the demand for shark fins now pose the greatest threat to their survival. In fact, every year, fins from up to 73 million sharks enter the global shark fin trade. Many of these sharks have been finned. Shark finning involves cutting the fins off the body of the shark and saving them for sale, while dumping the body of the shark back into the sea to drown, bleed to death or be eaten alive. This cruel, wasteful practice puts many shark species at risk of extinction. Although the practice of shark finning is illegal in U.S. waters, the United States still participates in the shark fin trade. Shark fins continue to be imported into the United States either from countries that do not have similar shark finning restrictions, from sharks finned on the high seas, or from illegal shark finning in U.S. waters. Since 2010, the United States has imported fins from 11 countries, five of which do not have any type of finning ban. Many of the sharks targeted for their fins have long lifespans, mature slowly, and produce relatively few young, making them especially vulnerable to overexploitation and population loss. In fact, more than 70 percent of the most common species in the fin trade are at a high or very high risk of extinction. Due to the difficulty in identifying shark species based on detached and processed fins, it is easy for threatened species to end up in the shark fin market. What is equally troubling is that the trade data reported to the FAO does not match NOAA’s own fin data. For example, between 2000 and 2011, NOAA reported that, on average, the United States imported 75,000 pounds of fins every year, yet the total number reported as having been exported to the U.S. by the exporting countries was a staggering 580,000 pounds —more than seven times NOAA’s amount! The Shark Fin Trade Elimination Act, introduced by Senator Booker (D-NJ), Senator Capito (R-WV), Representative Sablan (D-MP) and Representative Royce (R-CA) would create a nationwide prohibition on the trade of shark fins, therefore reinforcing the status of the United States as a leader in shark conservation. Eleven states and three territories already have passed bills to ban the trade of shark fins—Hawaii, Oregon, Washington, California, Illinois, Maryland, Delaware, New York, Massachusetts, Texas, Rhode Island, Guam, the North Mariana Islands and American Samoa. A number of leading companies have also banned the selling and shipment of shark fin products, including GrubHub, Amazon, Disney, UPS, American Airlines and Hilton Worldwide. Please join them by supporting the Shark Fin Trade Elimination Act.